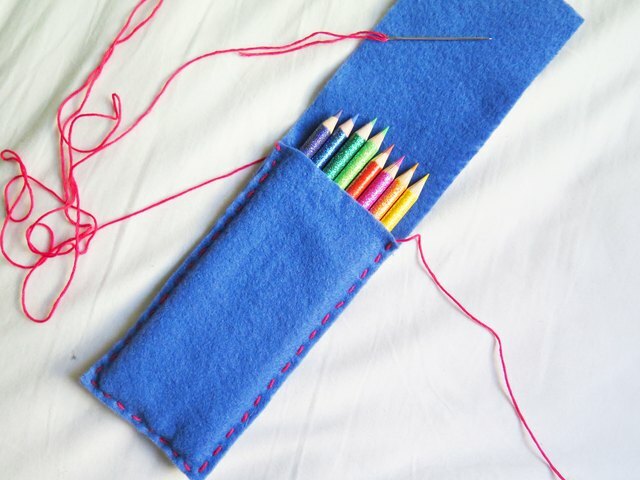 Elevate your school supply storage by making a felt pencil case with contrasting stitching and button closures to carry pencils, pens, art and other writing tools. 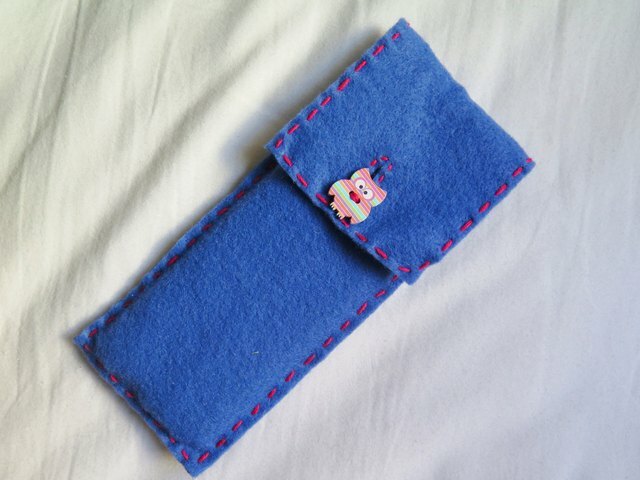 This project is not restricted to making cases just for writing tools but can also be made for notebooks, cell phones, tablets and other school supplies. 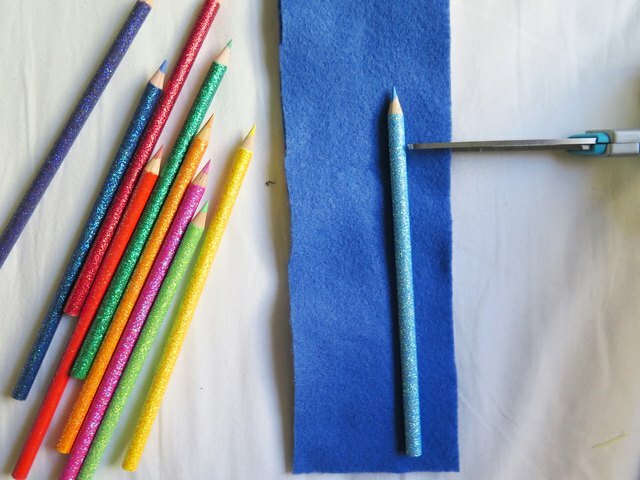 On a flat surface, lay the felt vertically like a piece of paper. 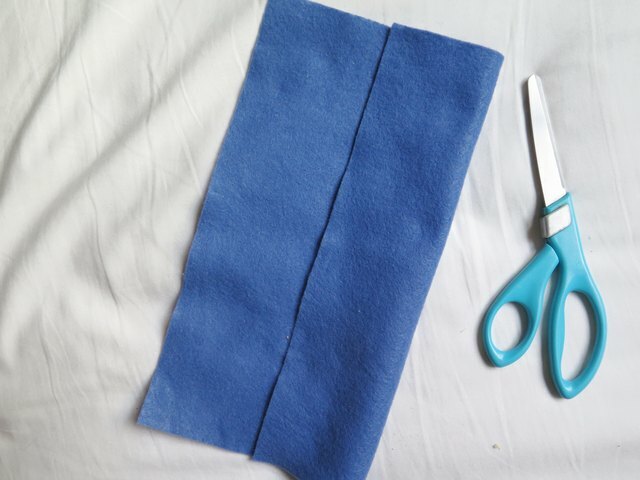 On one side of the felt, measure and fold one side inward by 2 1/2 inches. 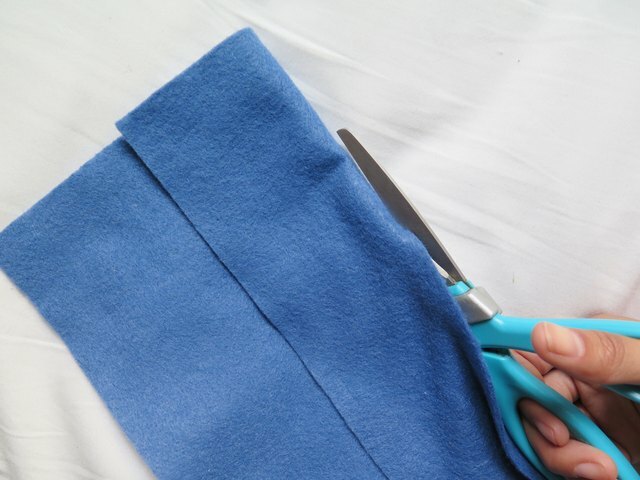 Cut along the fold. 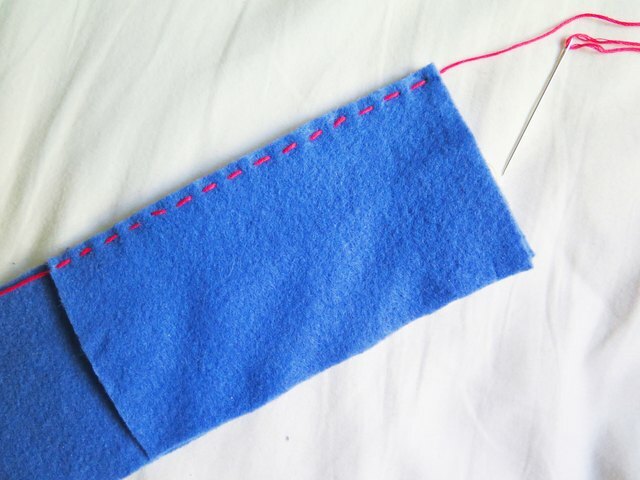 Keep the cut felt where it is and use the inside edge as a guide to cut another piece of felt the same size. 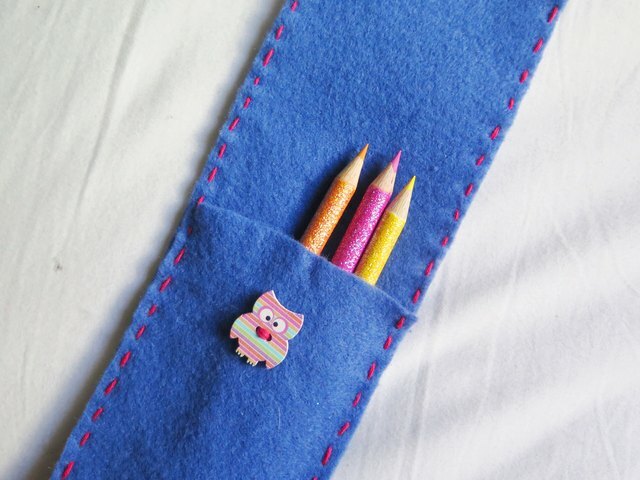 You now have the two sides to your pencil case. 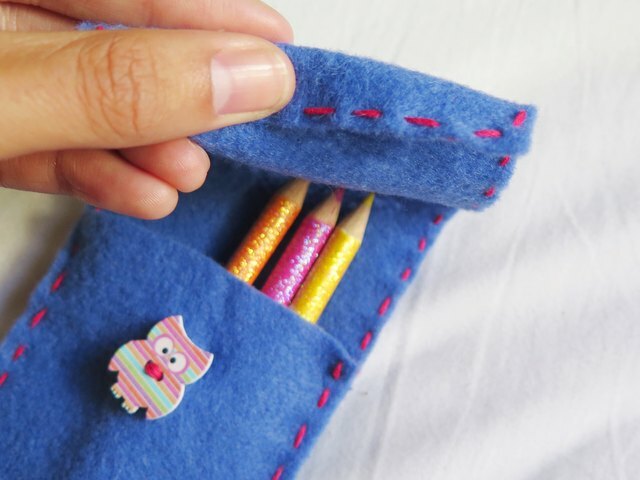 If you want your pencils or writing tools to be exposed when you open the flap of your case, then place a pencil on top of one piece of felt. 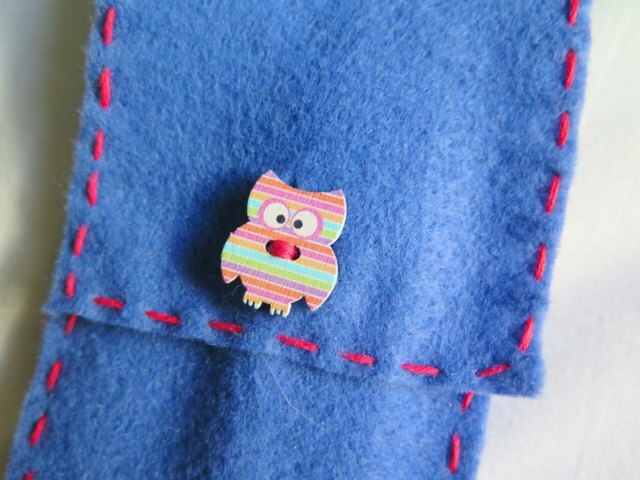 With a pen or fabric chalk, mark and cut the felt. 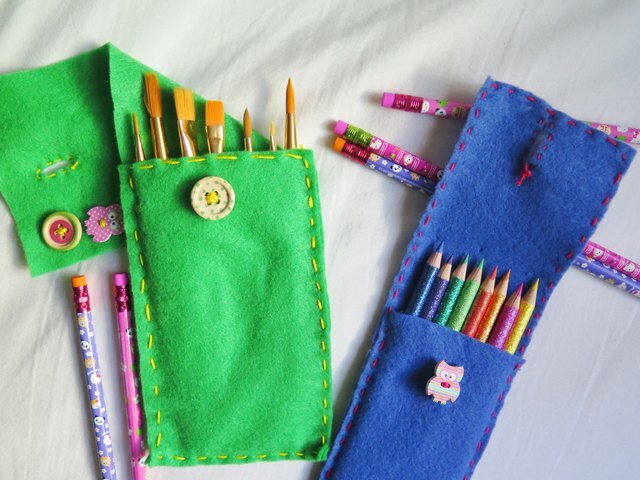 Place the pencils or writing tools into the case. 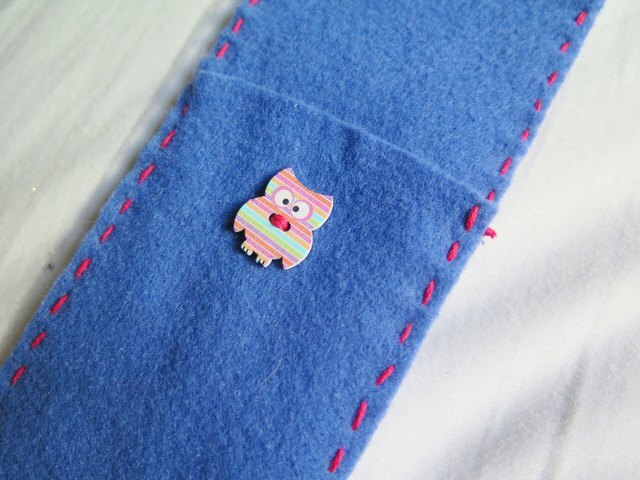 Close the flap over the pencils and decide whether you would like to make the flap shorter. 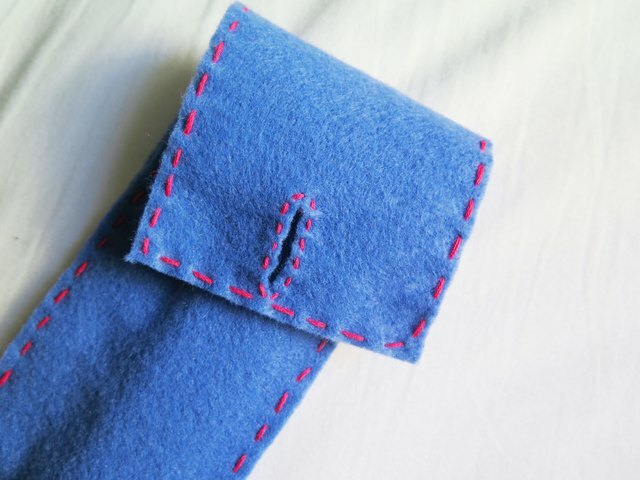 If so, mark the felt with a pen or fabric chalk, and then cut the case. 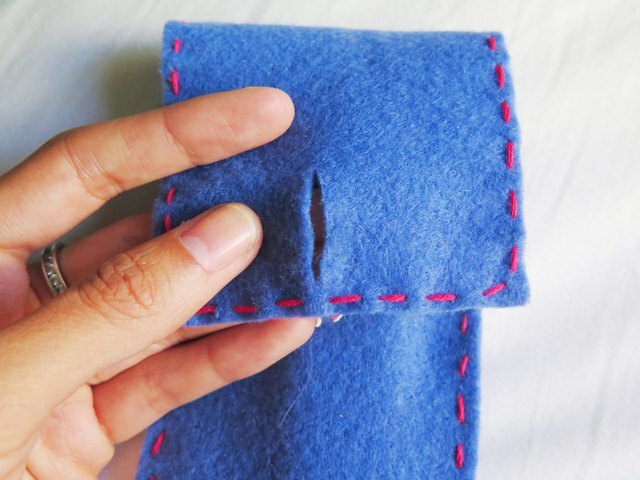 Do not trim the flap past 1 inch from the opening of the case, though, or you won't have enough room to sew on a button and use the flap to close it. 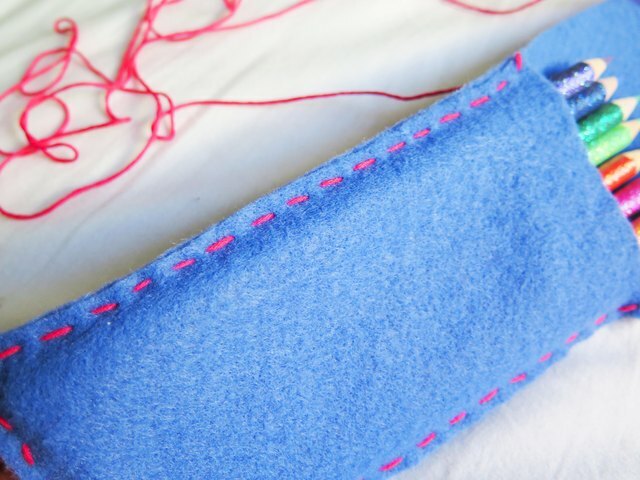 If you are continuing the stitch border around the flap, keep sewing the running stitch all around until it meets at the beginning point. 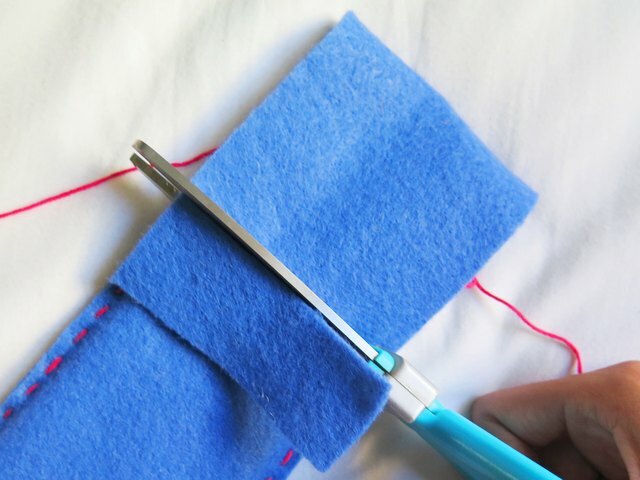 Then cut the ends of the thread, knot and trim. 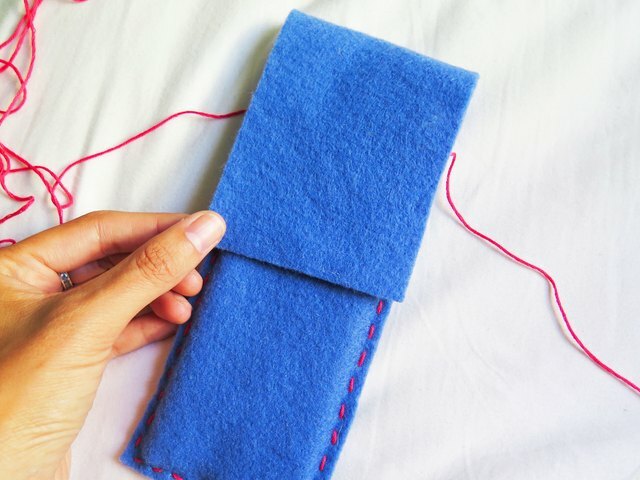 Tuck the knot inside the case. 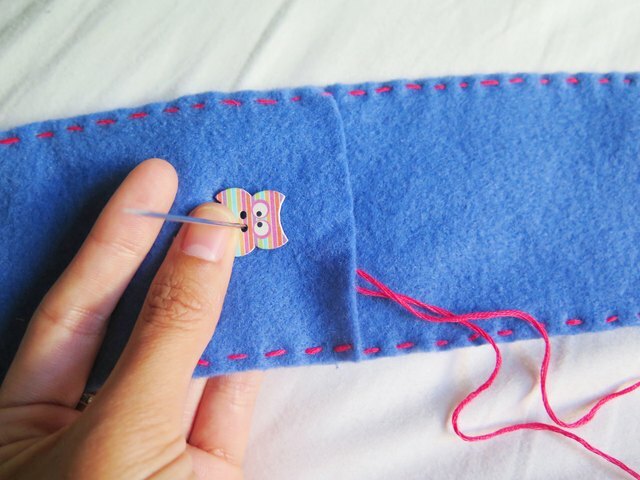 Select a button and sew it onto the front of the pencil case approximately 1/2 inch from the top of button to the opening of the case. 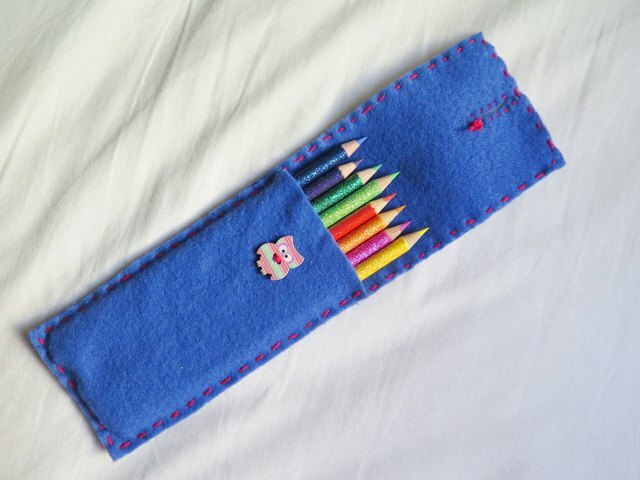 Place a few pencils back into the case and close the flap. 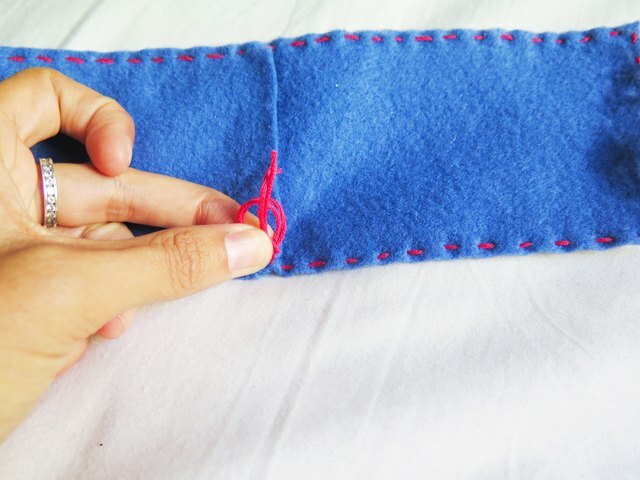 Use your thumb as a guide to figure out where the button is placed underneath the flap. 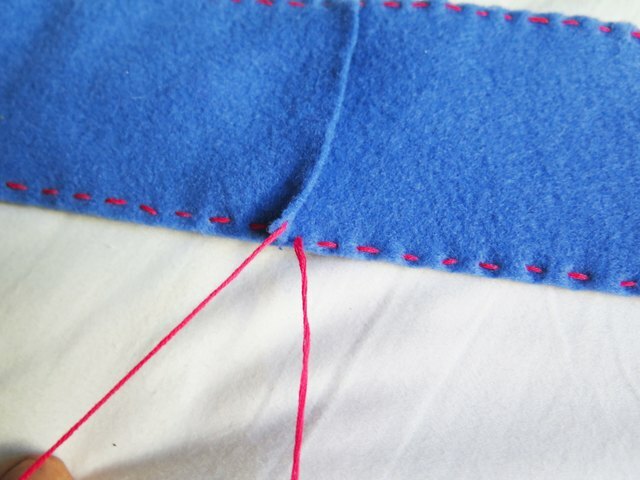 Where your thumb marked the button, and 1/2 inch from the edge of the flap, cut a centered, vertical slit, big enough to pull the button through. 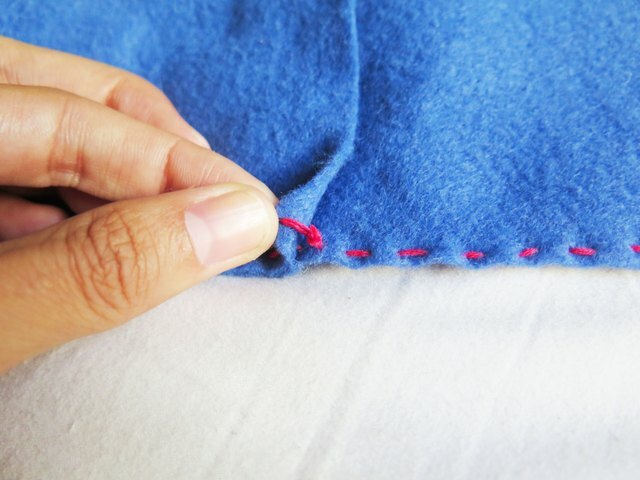 To keep the slit from stretching out over time, use the embroidery thread and needle to sew a running stitch around the opening. 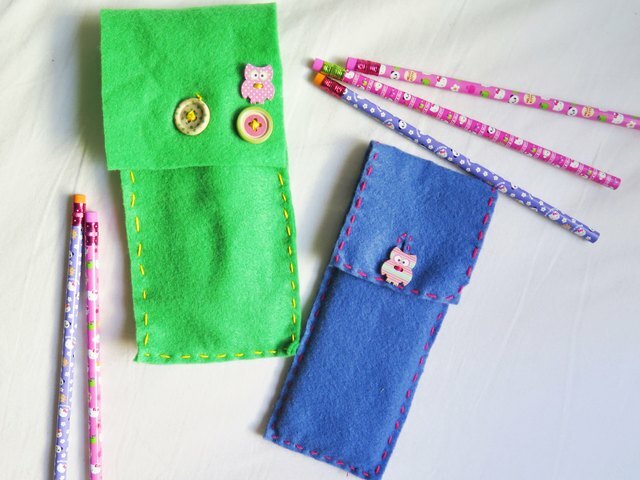 Store your pencils and other writing tools in your new cases. 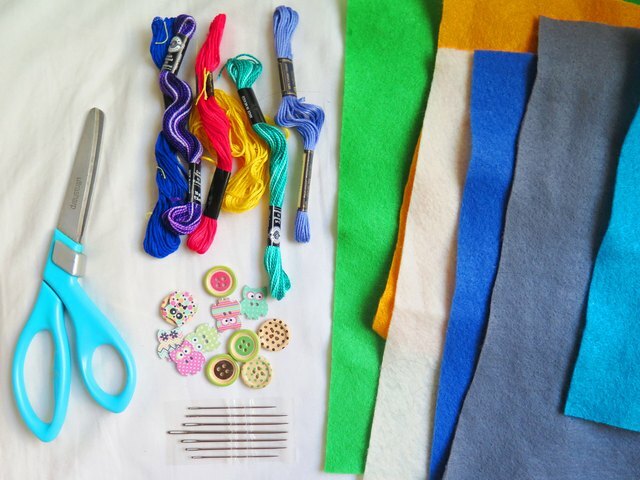 You can also make cases to cover and carry notebooks, other school supplies, cell phones and tablets.